Welcome to The Oak Church Family Resources Page. We hope the information and resources you find here will inspire and grow you, your children and the wider community. You can filter which resources you can see using the buttons below. This term we will be looking at how God has made us fearfully and wonderfully. We will be looking at our bodies and our senses to see how amazingly God has created us all. We will be singing lots of songs, reading a new story and doing some fun activities. We are constantly amazed at how much even the youngest child can understand and learn about our wonderful God. In our first full term of running the Nest, already we have heard so many stories of our children continuing to talk about God, repeating the stories they have heard and singing the songs they have learned. As a team we would love that to carry on this term, we want to help encourage parents in new and exciting ways to talk to their children about God and how He has made us. 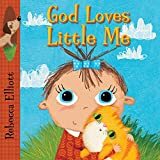 We are also hoping this Family Resources page will help everyone not to just do this on a Sunday, but all through the week, so we can help our little ones learn more about our amazing Creator! Our current theme ‘Fruits of the Spirit’ has been a hilarious time of song, dance, story-telling and play. The children have explored the theme in their own ways with a mix of guided teaching and story and free play and exploration. We always find that the most profound growth happens in our children not when we tell them but when they discover - often in ways we would never have dreamed. Check out the Songs & Stories section for the latest songs for this series. Our young people are awesome. We’ve gone through lots of changes over the last year with latest one being check-in on a Sunday. If you have a young person coming along to Oak Youth on a Sunday, please bring them to the room (the red door downstairs) and check them in on the computer system. If you’re happy for them to make their own way upstairs at 12noon, please give them the wristband. If you’d rather collect them yourself, you take the wristband. Also, they are gearing up for a week away at Newday. Please pray for them...and us, as we have the opportunity to worship and learn alongside thousands of young people from our family of churches. A simple and fun new song for our Easter term about Jesus' death and resurrection. Gentle, calm and beautiful. In the quiet of the night, Jesus comes! Newday is amazing. Here is one of the songs from last year! There are so many resources available for us to use to help our families grow in God together. Here are a few that we have found helpful. We will be using this book in our Easter series in the Nest. 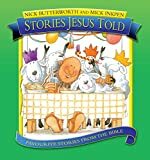 The story is told in rhyme and uses beautiful illustrations to engage and inspire little minds as they explore the story of Jesus' death and resurrection. 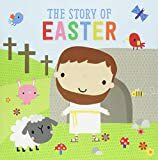 Introduce your little ones to Jesus and the true meaning of Easter through colourful images and rhyming text. This captivating book draws you into the story of Jesus - from telling fishermen to "come and follow me!" to giving His life on the cross. 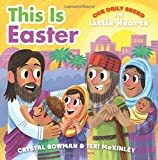 Perfect for toddlers, this engaging little book shows how Easter is all about God's amazing love! This is a new book we are using in the Nest for our 'God made me' sessions. Using fun, engaging rhyme, this book shows our little ones from an early age that God knows everything about them. It goes through the different parts of the body and feelings and reminds us that whatever happens 'God knows all about me'! Another book we are using in the Nest for our 'God made me' sessions. 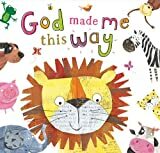 This short board book reminds us of some of the things God loves about his creations, complete with actions for children to join in with. With lovely pictures and rhyming text, this book helps toddlers learn the true meaning of Christmas. 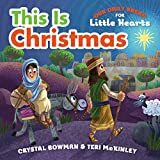 Based on Mary and Joseph's journey to Bethlehem, this adorable book leads young children straight to Jesus - the best gift of all! We loved naming all the animals in this book in our Nest sessions about creation. From a monkey's swing to a zebra's stripes, God made all of us just the way we are! Using adorable animals, this book explores how fearfully and wonderfully God has made all of His creations. We have used this book in the Nest and the stories are fantastic for young children. With delightful illustrations and easy to read text, these simple, short and often funny stories are great for sharing truth with our children. Dr Luke has a story to tell. It's a super incredible, massively, mind-boggling totally AMAZING, absolutely awesome, epically HUGE story. Luke wrote down everything that happened because he wanted everyone, everywhere in the whole world to hear what he had to say.Luke's story tells you who Jesus is, what he did, the people he met, all the super interesting things he had to say, and it has a pretty jaw-dropping twist right at the end...Diary of a disciple: Luke's story is a contemporary retelling of Luke's Gospel. Written in a quirky, contemporary, accessible style, Diary of a disciple offers a way into the Bible for the next generation. Sheep falling from the sky, bald heads, fiery heads and wrinkly noses, boys falling out of windows, people throwing rocks, storms and shipwrecks, prisons and fish biscuits?! How could all of this be part of just one story? Well. Dr Luke has a story to tell a story about a man called Peter and a man called Paul. It s a totally epic tale, a stunning super-saga, a page-turning, jaw-dropping dazzler of a yarn and it s all here, in one book, just waiting for you to get stuck in... Diary of a Disciple: Peter and Paul s story is a contemporary retelling of the book of Acts. Written in a quirky, contemporary, accessible style, Diary of a Disciple offers a way into the Bible for the next generation. The New Century Youth Bible, first published in 1993, has consistently been among the top three selling Bibles in the UK. Contemporary and easy to read, with lots of great explanatory notes and 'extra' bits to help young people relate the word to school, home, relationship issues etc. Ideal for any young person from around the age of 11 years, through the teen years and beyond. Boys might prefer the alternative colour cover design available here. This children's bible is told in 44 stories- 21 from the Old Testament and 23 from the New Testament and is a firm favorite here at The Oak. Every story links to the ongoing plan of God's "Never stopping, never giving up, unbreaking, always and forever love." It does this by linking every bible story to Jesus's death and resurrection. "I like this Bible because the stories are long enough for a 9 or 10 year old not to feel patronized, but explanatory enough for a 5 year old to understand." This is a great bible for children and younger teens to enjoy the bible through the use of a comic strip. It doesn’t mince its words and with 200 stories doesn’t shortcut some of the more difficult stories.